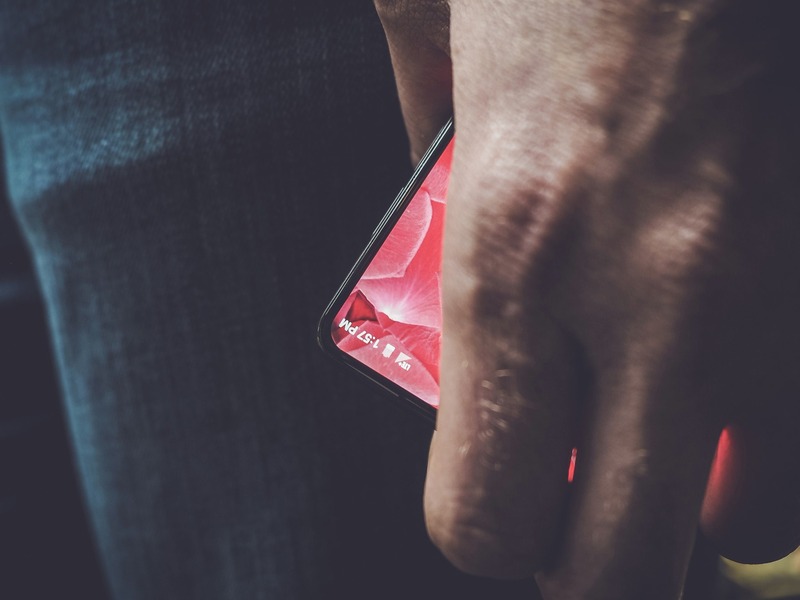 Bezel-less phones are, if the internet is to be believed, the actual next big thing. And as we know, Andy Rubin is currently at the helm of a stealthy startup (gagging sounds) that is building said Big Thing. Now, thanks to a tweet published by Mr. Rubin himself just a few minutes ago, you can see it - albeit just a corner. Neat-o. I will break down some of my thoughts and observations based on this photo. I can see a button, maybe a volume rocker? That, I think, covers the bases. Andy says he hopes it will be in the hands of more people, so I think we can confirm that they plan to distribute a product. Thank you for tuning in to the latest episode of Smartphone News.